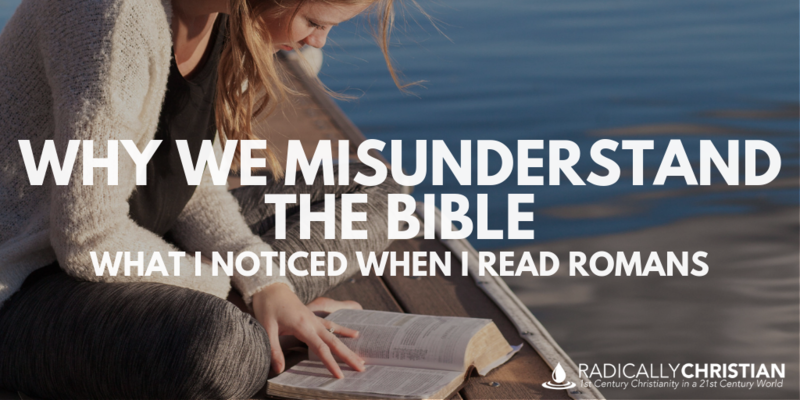 The main reason we misunderstand the Bible is that we are often asking the wrong questions when we read it. Imagine a boy in a chemistry class asking his teacher, “How do I find the subject and the verb in this chemical formula?” Or imagine a young lady in a history class asking her teacher, “How do I calculate the square root of the Emancipation Proclamation?” When you begin with the wrong sorts of questions, you will likely end up very confused. What questions should we be asking when we read Romans and what questions should we not be asking? Do people have free will or does God determine each person’s eternal destiny? Did Adam’s fall cause his descendants to be born with a depraved sinful nature? Does a person have to be baptized to be saved? If we do not deserve salvation, how can we ever lose it? These are not the sorts of questions the apostle Paul was addressing when he wrote his letter to Christians in Rome. If you’ve been following our series through the Bible, think back to Moses and the prophets. Are these the sorts of things they addressed? Did any of the Jewish Scriptures give us the impression this was the sort of conversation we were having? Even after their sin and rebellion, he still promised through the prophets he would forgive all of their sins. He promised to restore the kingdom to them. He promised them a future of peace and prosperity. These are the sorts of things the Bible has been about up to this point. Why would it suddenly shift and become just another religious manual about how to go to the good afterlife? That seems rather strange, doesn’t it? In reality, Paul hasn’t departed from the storyline of the Bible. He is still talking about the fact that all of these things belong to Israel: “the adoption, the glory, the covenants, the giving of the law, the worship, and the promises.” In fact, one of the major questions he addresses in Romans is whether or not God has broken his promise to Israel. Has God been unfaithful? Has he rejected the Jews in favor of the Greeks? Paul’s answer to this is, of course not! God has not been unfaithful and he has not rejected the Jews. God has created a new Israel by bringing both the Jews and the Gentiles into a covenant relationship with himself. All those who put their faith in Jesus are Israelites and all those who reject Jesus are not Israelites (even if they are physically descended from Abraham). Should Gentiles be circumcised as a sign of the covenant? Should Gentiles observe the Sabbath? What sorts of food should followers of Jesus eat and avoid eating? Are Jews who follow the Law, but do not follow Jesus, part of the covenant family? If God is just giving away covenant membership as a gift, can we behave any way we want? Are Jews better than Greeks or are Greeks better than Jews? These are the types of questions the book of Romans addresses. If you begin by understanding that Paul’s primary point is about Jews and Greeks all being part of God’s covenant people and heirs of the promises God made to Abraham, you will better understand this book. There is a sub-theme I would also like to briefly address that often gets overlooked by modern readers. In this book, Paul talks about “sin” as if it is a person rather than just something we do. This is a way of thinking about sin that is unfamiliar to many of us. Paul speaks of “Sin” as if it is a horrible ruler who rules over both the Jews and the Gentiles. Every human being is a slave, laboring to do the will of “Sin.” Every human has been condemned to work for “Sin” until they are finally killed. This death is their wage, their payment for being a slave of “Sin.” Like the children of Israel laboring under Pharaoh in Egypt, all humanity needs a Deliverer. Jesus, of course, becomes that deliverer for both Jew and Gentile. 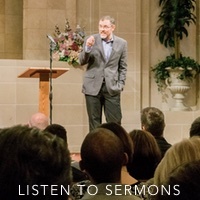 Paul explains that at baptism, both Jew and Gentile undergo a death and burial of sorts. Therefore, Sin’s grip on each baptized person is broken, because they have died, been buried, and been raised up with Jesus. But it is only the spirit of man that has been raised; the body is still weak and capable of being hijacked by Sin. Paul explains that the Spirit of God, who dwells in the body of every baptized person, will help us fight against Sin. Unfortunately, one day our bodies will die because of Sin, but, “The Spirit of him who raised Jesus from the dead…will also give life to [our] mortal bodies through his Spirit who dwells in [us].” Even our bodies will be redeemed from Sin’s curse!